After two years of doing approaches and landings with the fear of getting hauled up by the airline for doing a hard touchdown, Air India and Air India Express pilots can finally breathe easy as far as hard landings are concerned. ...."
The commander of the ill-fated Air India Express flight, Capt Zlatco Glusica, had been called for a counselling session and admonished by the airline's air safety department in March for a hard landing in Thiruvananthapuram...."
National carrier Air India may be undergoing an austerity drive and financial restructuring after the Rs 7,200 crore loss it posted last year after its merger with Indian Airlines, but those rules apparently do not apply to civil aviation minister Praful Patel's family...."
Maintaining that the flying hours had fallen to an average of 60 or even 40 hours, it said, "this clearly proves that we are underutilised..."
The employees, holding Air India CMD Arvind Jadhav responsible for the present condition of the airline, also demanded his removal and regularisation of the payment of their due salary and productivity linked incentive. Interview Of Capt Sabu on NDTV HINDU on 05/11/09. 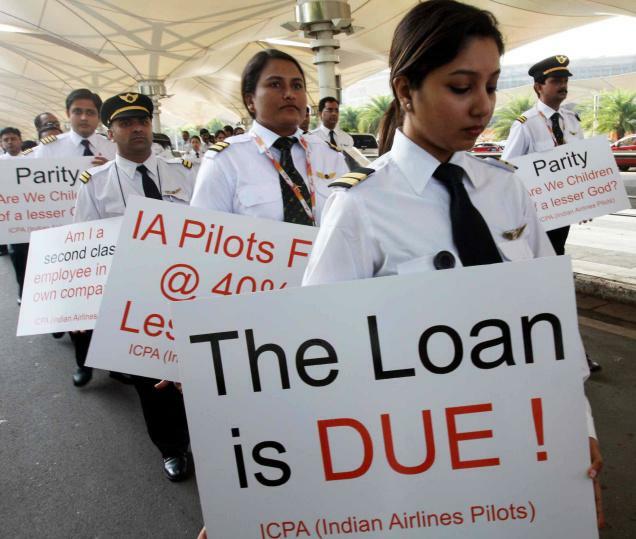 Copyright © 2010 Indian Commercial Pilot's Association, Mumbai. All Rights Reserved.